LYO Board Applications Due February 15! What is your favorite hang-out spot in your community? Take time this week to specifically invite young people in your congregation to camp! Your encouragement makes a difference, and might be the tipping point to get a young person to camp and transform their lives. I also challenge our pastors and youth directors to take it a step deeper. Set aside a week - or at least a couple of days - to join your young people at camp. The relationships you develop as you sing together, play together, wonder about God together, eat together could be the most important hours you spend in ministry with young people this year! We have some of the best outdoor ministry staff and locations right in our back yard. Make sure your young people and their families are taking advantage of this incredible faith formation tool this summer! The LYO Board is a leadership development opportunity for youth and adults who are already leaders in their congregations, and are ready for that next step of leading on a larger and deeper level with more responsibility and opportunities to share their faith. The LYO Board has HIGH expectations of its members, and requires full participation in its training camp, meetings and events. Why? The synod relies on the LYO to provide quality, faith-filled events for 1,000 middle school youth and 200 high school youth each year - it's a big responsibility! For job descriptions and expectations, meeting dates, and application forms, visit www.nemnsynod.org/LYO. Applications and recommendation forms are due February 15, 2016! Are you interested in exploring the intersection between environmental, economic, and racial justice in a faith context? 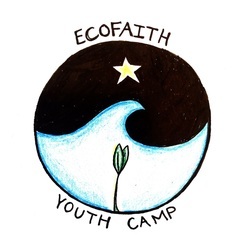 The NE MN Synod, in partnership with the NE MN Synod Creation Care Task Force and Peace United Church of Christ, invites you to be part of a new opportunity this summer -The EcoFaith Youth Camp. This week long day camp will begin on Sunday, June 26 and will end on Thursday, June 30. Our week will be spent exploring our role as God's people and understanding our call to care for all of God's creation and people. Throughout the week we will be in conversations with local indigenous communities and local farmers, learn the history and story of the St. Louis River, and explore the complexities of our food systems. Our week will also involve one night of camping, a morning of canoeing, and time to learn, play, and grow together! new ways of being church-to dream big and be open to the work of the Spirit. Where do we go from here? What's working? What's not? Where do we find the abundant life of Christ in our lives and communities? Visit http://iymforum.com/ for more information and to register. The story of adolescence is complex. Youth are developing cognitively, emotionally, and socially in ways that impact how they hear, interpret, and live out God's story. Youth have abundant gifts, energy and passions. The presence of caring and faith-filled adults is vital in helping youth explore and live out their unique God storyduring this time of transition and growth. How well do leaders in your congregation understand adolescents? The Discipleship Challenge Study Guide, "Story of Adolescence" would be a helpful resource for leading conversations on this topic with various leaders and groups.